The Richmond Flying Squirrels (8-14) took the Harford Yard Goats (17-4) into eleven innings on Friday, but fell 4-3 in a dramatic ending at The Diamond. Trailing 2-0 in the ninth, Ricky Oropesa forced extras with a game-tying home run off closer Matt Carasiti. Hartford then regained the lead with a pair of runs in the eleventh and finished the game when Myles Schroder blooped a double down the left field line. Schroder plated the lead runner in Christian Arroyo but the trail runner Tyler Horan was thrown out trying to score from first to tie the game. The victory extended Hartford’s winning streak to eight games. Game two of the series is Saturday at 6:05. Joan Gregorio was nearly flawless through the first three innings for Richmond The righty punched out a pair of batters in the first to set the tone in the contest. Gregorio managed to retired the first eight batters in the game, until the ninth hitter in the order Zach Osborne reached on a base hit to left center. Gregorio induced a grounder off the bat of Raimel Tapia to strand Osborne and keep the game scoreless. Hartford’s Kyle Freeland also turned in a stolid beginning to the game despite a pair of walks over the first three innings. The lefty walked Rando Moreno to open the first inning but picked up a double play to face the minimum in the frame. He walked Tyler Horan to start of the second inning, but managed to evade any damage. It wasn’t until Joan Gregorio roped a double down the third base line that Freeland would yield a hit with one out in the third. Hartford finally broke through against Gregorio with a run manufactured in the top of the fourth innings David Dahl ripped a single toright and promptly stole second and thirs base. With one out, Ryan McMahon elevated a fastball to deep center to bring home Dahl with a sacrifice fly for a 1-0 lead. The 1-0 lead stood up across the middle innings for Hartford as Freeland worked quickly. The left retired the side in order in the fifth inning and need just 55 pitches to finish the first five frames. Freeland was fantastic in his fifth start of the season and extended his scoreless inning streak to 20 consecutive innings before leaving the game after seven scoreless. The Yard Goats pushed their lead to 2-0 with a run scored in the top of the sixth. Osborne knocked a double to left to begin the inning and was moved to third via a groundout. Gregorio then bounced a wild pitch in front of the plate, allowing Osborne to score the game’s second run for a 2-0 advantage. Gregorio carried on and was removed after six innings in his fourth start of the season. Joan allowed just the two runs on three hits with no walks and six strikeouts on 90 pitches in the no-decision. Left-hander Christian Jones was the first Squirrel out of the bullpen to start the seventh and mowed down all three hitters faced and gave way to Tyler Rogers in the eighth. Rogers authored another scoreless frame and Ray Blackreplaced him for the ninth. Black punched out a pair to give the Squirrels a chance in the bottom of the ninth against Yard Goats closer Matt Carasiti. Tyler Horan greeted Carasiti with a flare base hit that was turned into a double on a missed dive attempt in left field. Carasiti then struck out Hunter Cole, sending Ricky Oropesa up to the plate representing the tying run. Oropesa fell behind in the count 0-2 but crushed the next pitch over the right field wall to tie the game. Richmond turned to Dan Slania at the start of extras and Slania struck out the side in the top of the tenth. Slania returned for the eleventh and allowed a pair of runs to take the loss. Rossell Herrera singled to open the inning and moved to second on a sacrifice bunt. With two outs, the Squirrels intentionally walked David Dahl, setting up Pat Valaika for a flare, two-run single to take a 4-2 lead. Richmond once again would not go away quietly in the bottom of the inning. Christian Arroyo and Tyler Horan opened the inning with base hits against reliever Rayan Gonzalez. Gonzalez battled back and struck out the next two hitters, leading to the dramatic finish. Myles Schroeder looped a double down the left field line to score Arroyo from second. However, Horan was thrown out at the plate attempting to score from first to end the game. 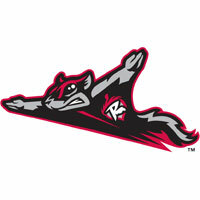 The Flying Squirrels homestand continued with the ASK Foundation Night and Fireworks on Saturday at The Diamond. LHP Matt Gage (0-2, 7.24) is scheduled to start against Hartford LHP Carlos Hernandez (2-1, 5.28) Season tickets, mini plans, and group packages are currently available by contacting the box office at 804-359-FUNN or online at www.squirrelsbaseball.com.